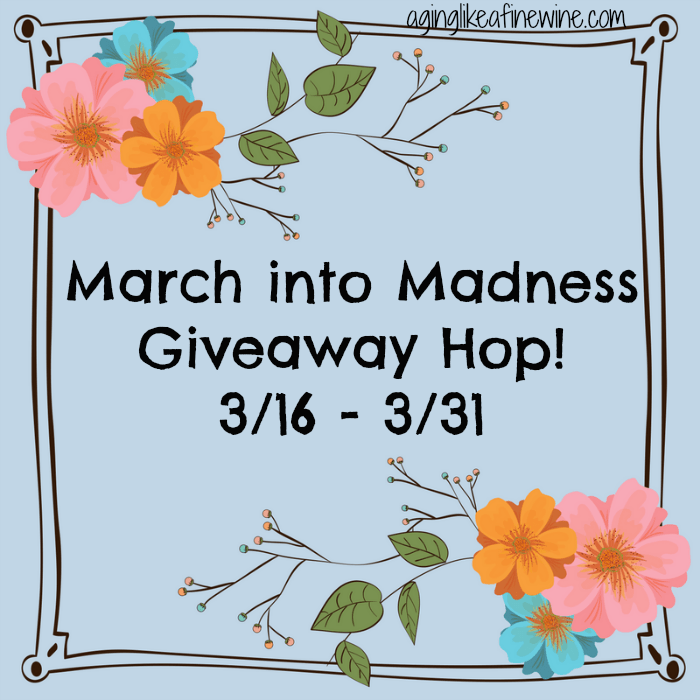 Enter the March into Madness Giveaway Hop! 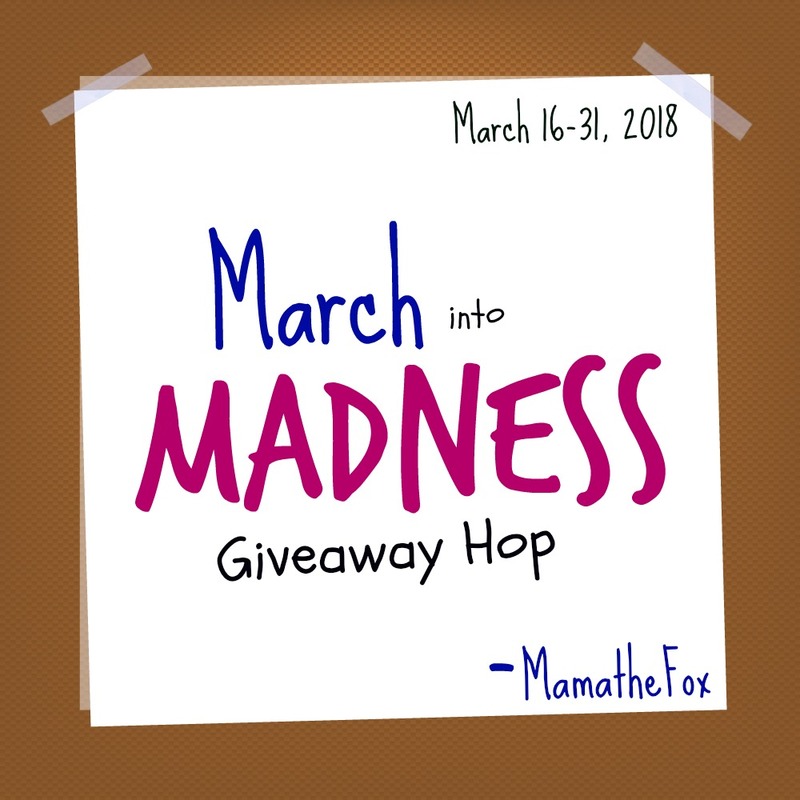 Welcome to the March into Madness Giveaway Hop! These hops are a great opportunity to enter lots of giveaways which means lots of opportunities to win lots of different prizes. You know the saying for March “in like a lion, out like a lamb”? I’m hoping it’s true because right now it is so cold! Only snow flurries with a light dusting but lots of cold, cold wind. I know that Spring is on the way though, I saw the slightest hint of green this morning in some of the underbrush in the woods! This is the first green I begin seeing every year, except for my daffodils and hyacinths. I was sooo excited! On to my giveaway,’cause that’s why you’re here right! I decided to give away $25 in this giveaway and let the winner choose how they want to receive it! 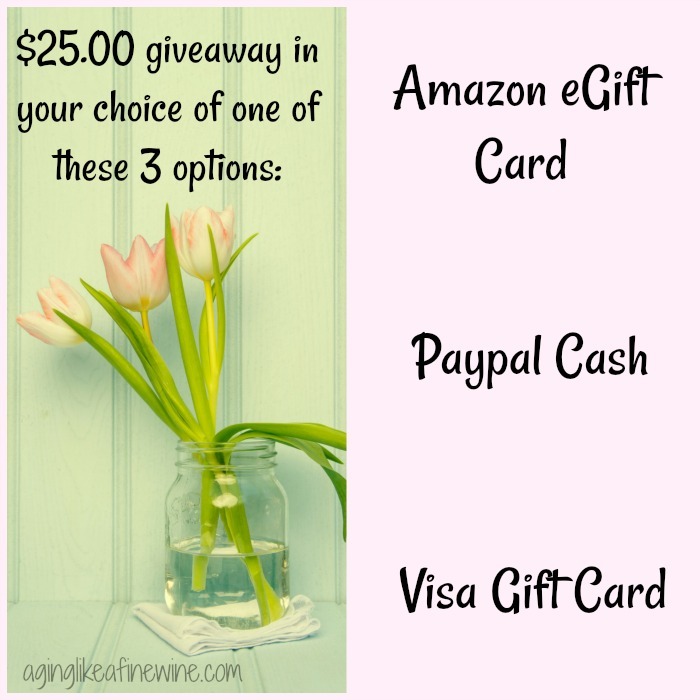 The options are: Amazon eGift card, Visa gift card or Paypal cash! What is the top item on your list of needs or wants right now? Maybe summer clothes for the kids or yourself, or saving for a vacation or paying off debt? Saving every dime for retirement? $25.00 always comes in handy for me and I think it does for you too! Thank you to Mama the Fox for hosting this giveaway! 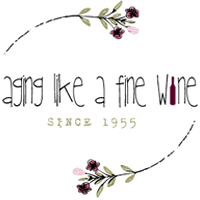 Enter here and then visit the other blogs and enter their giveaways! To visit all of the other participating blogs and enter their giveaways, just click on the blue frog! Thank you for entering here and good luck! Yes, the weather is slowing warming up. No sign of spring yet. I am not seeing any signs of spring yet. I am def seeing signs of spring: crocus blooms, iris blooms, daffodil buds, birds singing their territorial/mating songs, etc. Our trees starting to blossom but then we got alot of snow. Yes, trees and flowers have been blooming showing signs of Spring! Right now, we are heavily covered in snow. We’ve had 3 Nor’easter storms in the past week and a half. I’m seeing signs of Spring with the weather is getting warmer. Its starting to warm up a bit here. Last night we saw a bunny in our neighborhood and our lilies are starting to grow in our flower bed!! I love Spring! YES! Sunny days and less snow! I’m seeing real buds on the trees. It is still very cold and so much snow, but spring is pushing through underneath all that!! Yeaa! We are seeing lots of robins and my spring bulbs are all blooming. Yes! In Tennessee the temps are in the 60’s and my flowers are blooming. The flowers are popping up and the trees are starting to bloom. Yes! The days are getting noticeably longer and rhubarb is coming into seasons! Yes my yellow snow flowers have been up and my forsythia and daffodils have buds on. Yah. No we are in for our 4th Nor’easter this week … bring on SPRING now! Some if my bulb flowers are starting to come up. Not really, we’re supposed to maybe get another big snowstorm next week! I see the crocuses coming out everywhere for spring. Well, sure – the Mets are already losing miserably during spring training games! LOL But other than that, yeah, not really – we had spring when we shouldn’t have back in the winter at times. We are seeing signs of spring. It started early here. thank you! My snowdrops are blooming and the daffodils are beginning to sprout up. Other than warmer weather there is no green grass of flowers yet! Yes, I saw some crocuses in bloom. It looks like my grass is getting a little greener . Praying for spring. I am starting to see robins and the weather is warmer. Yes we are seeing signs of Spring. I have a Honeysuckle bush that is full of bright, beautiful blossoms! And it smells wonderful! Well it’s snow on and off all weekend. The temperature was around 0! So nope, spring not here yet. The only sign of spring right now in my area is warming temperatures. Bulbs are srputing and wild onions have been out. No signs of spring yet for Maine! Yes I am! I’m seeing my seeds popping up as plants! Not really. They’re predicting up to 8″ of snow next Sat. No signs of Spring and we are on top to get more snow in my area. My flowers are popping through the ground and I have seem some robins! Depends on the day! Last Monday it was pretty and in the upper 60’s. Trees starting to bloom. Then Wednesday we had an inch and a half of snow! I have been able to smell the Spring blossoms late it night. They smell incredible! Yes, we’ve been experiencing warm spring temperatures – and even heat waves – for months now. Well today is the ‘first’ day of spring. It is also the coldest day in weeks. It had been melting the snow, but I am seeing robins come back and my little crocus are trying her best to come up. yes we are seeing sings of spring. We have warmer sunnier weather. No signs of spring yet! had a lot of snow yesterday. Come on spring! Sort of, but only because I don’t get winter here. A couple of daffodils and some crocus. Nothing more yet. My snowdrop flowers came up last week, but a snow event hid them! I can’t wait to see the buds on the trees. No signs yet, we had some snow flurries here today. No real signs of spring yet. I definitely see signs of Spring everywhere. The daffodils are blooming and the cherry blossoms are out. Even better I saw the chipmunk a few days ago, and the squirrel yesterday; and the frogs having started singing again. The snow has dissapered and the sun is out! Its starting to get warm during the day! in Maine, not really. Too much snow due to the last few storms. I am seeing and hearing signs of spring. The trees have bloomed and the robins are back in our bushes building a nest. It doesn’t snow here so its felt like spring for quite some time. It is minus 22 Celsius (minus 8 Fahrenheit according to Google) here and we are just digging out from a blizzard. But we did see geese trying to come north a few weeks ago. Poor things. Yes, I’m in Florida where my jasmine is blooming and my daylillies are not far behind. The weather is just starting to get warmer! This year, there is little evidence of the onslaught of spring, as the trees are even still bare, no buds yet even. I’m seeing some signs of Spring with the sunshine. It could still snow tomorrow, though. No signs of spring in sight. It’s definitely spring here in Arizona- it hit 90 degrees today.